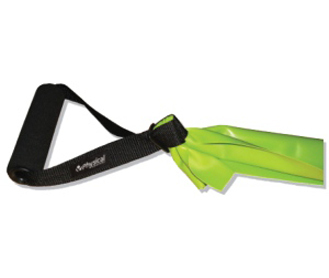 The new neoprene foam covered handle is ideal for use with cut lengths of supaflex X-Band. The new design allows you to attach the handle further towards the end of the X-Bands. The handle provides a more comfortable feel and easier grip. It also increases the durability of the X-Band as you are unlikely to damage the rubber with fingernails or rings. Available singularly.